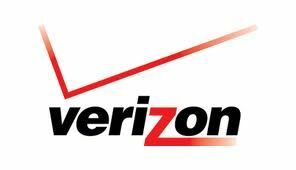 Verizon will team-up with Coinstar, the owners of the Redbox disc rental company, to offer a new video entertainment service to launch later this year. The heavily-rumoured deal will see the pair combine Redbox's in-store physical disc machines with an all-new on-demand offering from Verizon. The duo will debut the service in the second half of 2012, but details are pretty thin on the ground as to what the partnership will actually entail. The official press release says it will provide "an easy-to-use, flexible and affordable service that will allow all consumers across the U.S. to enjoy the new and popular entertainment they want, whenever they choose, using the media and devices they prefer." From that paragraph, it seems that the plans will enable customers to sign up to a subscription to grab Redbox discs at their convenience, while also streaming shows to their TVs and portable media devices. Redbox disc rentals currently cost $1.27 per night from rental kiosks situated in a host of retail stores across the United States. The deal will put Verizon and Redbox in direct competition with Netflix, which itself made bold new strides in a new arena by making its first original show available for streaming.